Reliance Jio subscribers who joined the 4G network through Lyf preview offer and have completed 90 days on the service will now be able to use their SIM cards in any 4G smartphone, as the telco has lifted the IMEI lock from the sim cards. Under the first phase of beta extension, Jio SIM cards offered through LYF preview offer are locked to LYF devices for a period of 90 days. 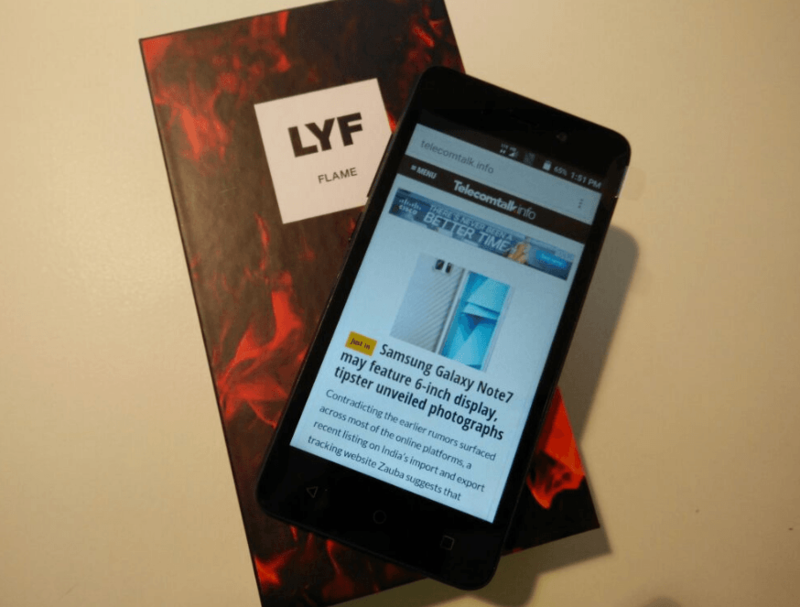 During our test, we found out that our LYF preview unlimited Jio SIM, which recently completed 90 days on the unlimited service received a free validity extension from Jio,and has subsequently started working on OnePlus and Samsung smartphones. Last month, Jio extended the unlimited data preview offer till August 31 for early LYF handset customers. According to our sources, more than 2.5 lakh subscribers have already received this extension, which would be provided to more customers soon. Jio customers that took connection through LYF device purchases before May 15 can now enjoy 4G benefits on existing or other LTE supported devices. Notably, Reliance Group employees have been given the privilege to use Jio 4G SIM cards on any 4G smartphone or router since the very beginning. Reliance Jio is likely to commercially start offering services on August 15, and it would offer free voice along with its data services, Bank of America Merrill Lynch, had last week said in its report. The brokerage firm expects Jio to come up with a differentiated offering, which will be unlimited VoLTE voice bundled with its data offering above Rs. 300 per month. The new 4G telco is putting in place 500,000 activation outlets and close to a million recharge outlets to support its commercial launch. With respect to sales and distribution, Jio will have half-a-million activation outlets and close to a million recharge outlets at launch. This will be in addition to the digital channels that Jio is promoting for seamless activation and recharge facilities for customers. We’re still using our Jio SIM card on an OnePlus smartphone. Dear Mr. Imon, I would like to know that whether Jio sim card purchased under the Samsung Preview offer, shall we use in One Plus 3 mobile? carrying two mobile making its very difficult for me. Are JioFi 2 devices available in Reliance Digital mumbai stores along with Jio sim and preview offer?